It’s about roofs over heads, it’s about children feeling safe, it’s about being inside and warm on a cold winter’s night. All things we might take for granted as we crawl home from work in heavy traffic or think about what’s for dinner during a site meeting. We shouldn’t underestimate the work we do and how it impacts on lives throughout our land. Like the young couple who couldn’t afford to move to a new house and didn’t have the space for their family to “expand”. But due to our nations housebuilders and our government backed schemes like Help to Buy, they can now afford a larger home and contemplate their next chapter of raising a family. Like the woman who had fled domestic violence with her children, living in one of Scotland’s many refuges. There until a suitable, permanent home became available. A home in which she would feel safe, secure and could use as a catalyst to rebuild her life. Like the elderly man who wanted to be reunited with his wife, but he had to stay in hospital because their current home wasn’t suitable for him, given his condition. A man that has now been offered a new ground floor apartment that he can live in easily and once again enjoy life with his beloved. Today is the day to look at the big picture, draw breath and feel motivated again by what we do. 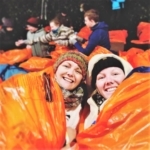 The impact is far reaching and changes lives. I pay tribute to all those who are involved in one of the many facets of Housing in Scotland. The housebuilders, the consultants, the council officers, the politicians, the funders, the landlords, the owners and tenants. 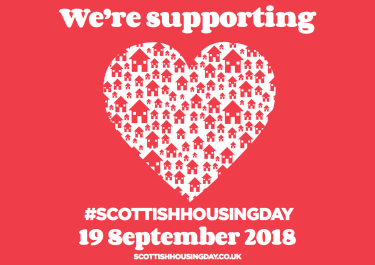 Today is Scottish Housing Day, we should celebrate what we do and recognise working in our housing industry as the privilege it is. Here’s to all of us!